We are the industry leader in engineering and design of collapsible containers, and our extensive product selection allows for efficient, safe transportation. Wel-Fab’s Lightweight Inflatable Decontamination Systems (LIDS) were designed to meet the strict standards of modern response teams. They feature easy setup, advanced technology and an unparalleled lightweight design. Wel-Fab, Inc, was founded in 1981. Our company is in Lumberton, New Jersey and its where we first honed our high precision welding and custom steel manufacturing fabrication capabilities. We have 38-years’ experience designing, manufacturing, and building everything from bridges to highly sensitive military equipment. We have built a strong reputation for manufacturing and delivering the highest quality military products in a timely manner. 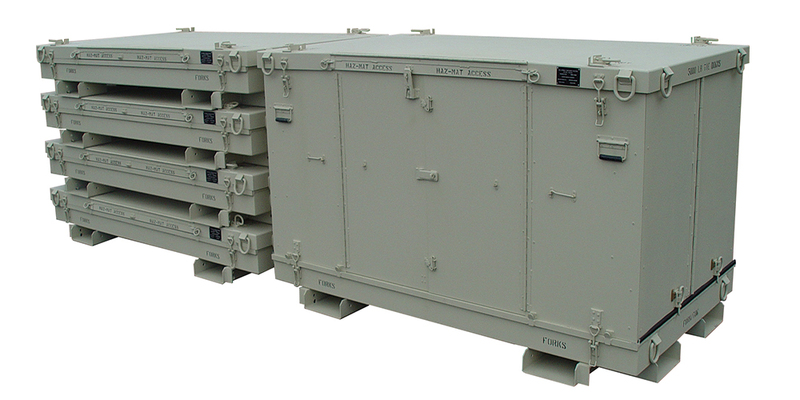 We currently, have more than 500 WFI CBRNE Decontamination Systems and 10,000 WFI CCS containers and in service today. Wel-Fab’s products are proudly designed and built in the USA. Our employees are committed to building equipment with an unparalleled combination of durability, versatility, and usability that are unmistakably Made in America Products. At Wel-Fab, we design, build, and manufacture our military equipment to do exactly that. We are dictated to providing equipment with lifelong quality and attention to detail. We pride ourselves on listening to our customers’ requirements and giving them equipment with first-class craftsmanship. Our skilled development and manufacturing teams works with absolute precision focus. We believe that precision is the foundation for solid equipment construction. Our master craftsmen use only the highest-quality materials to build our military equipment; this extends longevity and minimizes maintenance. 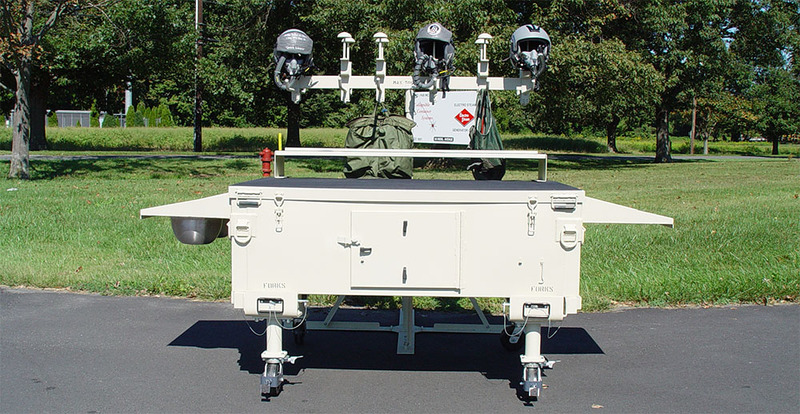 Wel-Fab, Inc. provides a variety of containers, work stations, emergency management solutions and other engineered products for municipal and military use. Founded in 1981 in Mount Holly, New Jersey, Wel-Fab, Inc. performed welding and steel fabrication services before expanding in 2000 with a popular line of Collapsible Cargo Container Systems (CCS). We have created an extensive line of military-ready products by focusing on functionality, compliance and cost efficiency. Our teams engineer our products to meet exacting standards, and our background in high-end fabrication ensures uniform consistency for our customers.